That said, however, the theory of the government’s case for blocking the merger, which went to trial this week, seems cockeyed. In its complaint and opening statement, the Justice Department argued that by acquiring Time Warner’s valuable programming assets, including HBO, CNN, and the Turner networks, AT&T would have both motive and means to extort higher prices from competing pay-TV distributors by threatening to withhold “must have” programming, thereby ultimately driving up prices for consumers. The government cites a model developed by University of California economist Carl Shapiro to estimate consumers in aggregate will pay $400 million more per year, or $6.00 per subscriber per year, as a result of the merger. “The merger will take a tool needed to compete and turn it into a weapon,” attorney for the Justice Department Craig Conrath told the court. But surely, AT&T’s ultimately goal is to drive the cost of programming down, not up. Even after the acquisition, should it go through, AT&T’s primary business will still be connectivity and delivery, not programming. And as with all TV distributors, the biggest challenge to its margins will still be the ever-rising cost of content. By bringing HBO and the rest of Time Warner’s TV content in house, AT&T would be able to keep a lid on at least a portion of its content budget. That wouldn’t necessarily preclude it from trying to charge higher prices to other distributor. But incentive to do so would be tempered by a countervailing incentive to restrain the overall rise in content costs. A higher price in the marketplace for HBO is likely to be mirrored by higher prices for other programming which AT&T would still need to license. So far, AT&T hasn’t really raised that argument, which is surprising since it was central to its case for acquiring DirecTV in 2015. 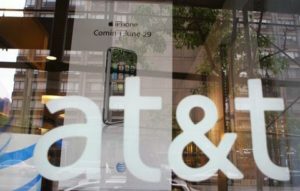 AT&T needed a larger base of subscribers, the company argued at the time, to gain sufficient leverage with media companies to drive down programming costs so it could create skinny bundles and build the wireless video delivery business it envisions. Bringing Time Warner’s content under its own roof could easily be portrayed as part of AT&T’s overall, long-term strategy to constrain programming costs. There is even a real-world analog it could point to, in Comcast’s acquisition of NBCUniversal, which the government approved. Instead, lawyers for AT&T have chosen to challenge the government’s case on its own terms, disputing the government’s economic theories and pointing to the flourishing of competition Time Warner faces from the likes of Amazon, Google, and Facebook. That may make sense from a tactical legal point of view (IANAL). But it makes it more likely that the case will ultimately be decided or settled on grounds that are largely at odds with what’s actually happening in the marketplace.